The base building was stripped of all existing services. A new extraction system was installed in the kitchen, new air conditioning for the staff and dining rooms, new lighting, total replacement of all drainage and replacing all the existing copper pipes to meet current standards. 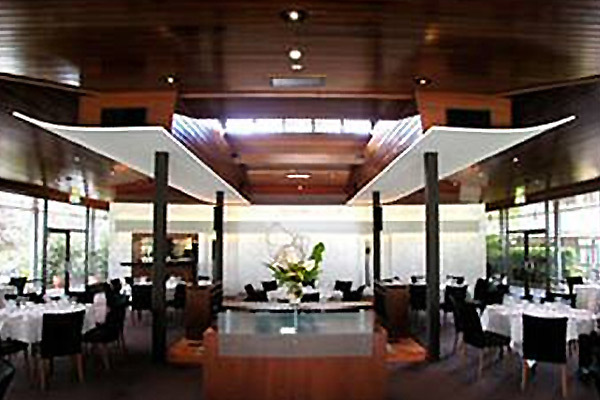 A new curved wall and stage was constructed dividing the kitchen and dining area and the parquetry floor was replaced. The Company also had to coordinate the installation of the kitchen along with the associated services trades. Winner of the 2000 MBA Excellence Award in the category of Commercial Fitout, Refurbishment or Alteration less than $0.5m.